A show through which many topics related to spirituality, magic, Nature based religions, philosophies and spirit-minedness. Raven Grimassi talk about his background, training, experiences, and adventures over almost five decades of adult practice. This is sure to be a historical presentation not to be missed! ***************************** Visit our website at: www.houseofgrimassi.com Raven Grimassi is a award winning author of 18 + books on the subject of Old World Witchcraft and Spirituality. 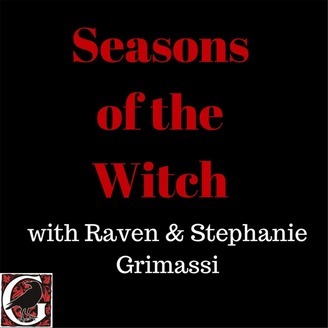 Raven brings over 40 years of experience of practice, teaching and writing about the topics to be covered on Seasons of the Witch. Stephanie Taylor-Grimassi is a practicing witch with over 25 years of practice and teaching of the Old Ways of Witchcraft. Raven and Stephanie created the oracle decks the Well Worn Path and Hidden Path along with artist Mickie Mueller. Together they run the House of Grimassi, a website dedicated to keeping the Old Ways of rooted Witchcraft and spirituality alive. They offer online courses of study on this subject, workshops and Oracle readings. 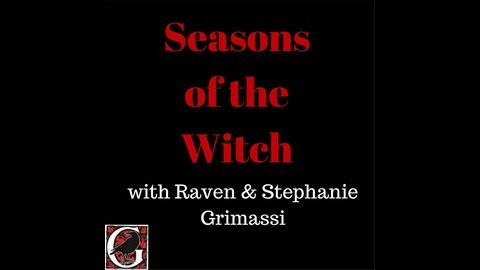 We are now syndicating our show on the International Pagan Network! Visit IPR at http://www.internationalpaganradio.com where It's All Pagan All the Time!